There may come a time where you want to email certain Subscribers on your list, but not everyone. 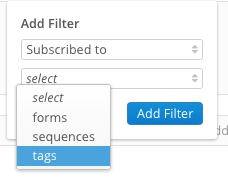 Or you have a message that you'd really rather not go out to a specific Tag, so you want to exclude them. 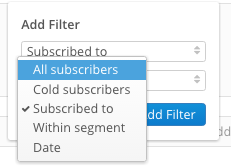 With our Subscriber filter, this is really easy! Here's how it works. 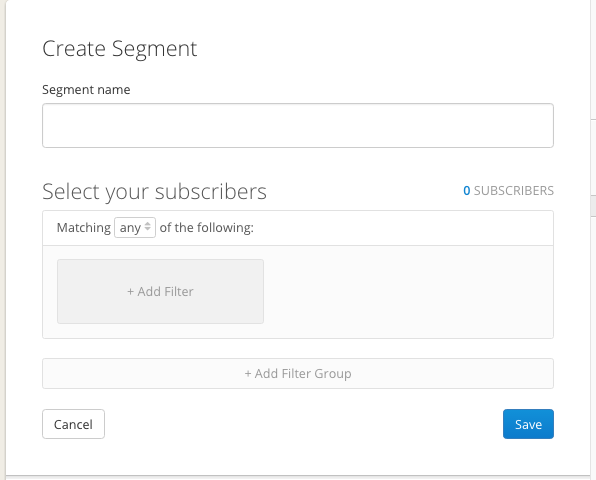 Create a new Segment and you'll be taken to the Subscriber Filter page. Note the difference in the number of Subscribers. 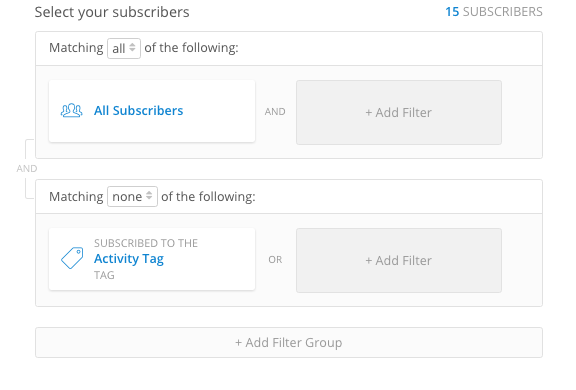 This means we'll be sending to everyone on the list that does not have the Activity Tag.